Hundreds of great product reviews come in every month, and it’s our duty to pour through them and pick three winners as part of our monthly Product Review Contest. Below, you’ll see who won from February’s Product Reviews. We’ll be sending $25 gift certificates to the people who posted them. This final issue concludes the ebook comic series. 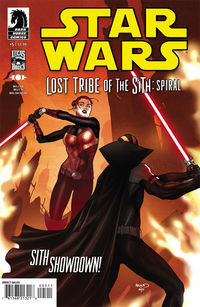 Set in an isolated planet where a Sith ship crashed thousands of year before, Lost Tribe of the Sith is a basically a fantasy… with lightsabers! The finale puts ancient Sith Lord Dreypa, awoken from hibernation in his oubliette (nice shoutout to Vector) against the whole tribe. Will the Sith Lord escape from Kesh, or will the rebel Spinner? Curtis from Myrtle Point, OR wrote this review last month. 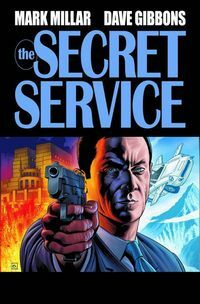 His review of Secret Service #5 caught our eye. Secret Service delivers! I only hold back from 5 stars, because I don’t want to be too loose with my ratings. However, Millar and Gibbons deliver a pitch perfect gritty British secret agent romp from start to – well, almost the finish here. If you enjoy the genre, give it a whirl! Last but not least, there’s Philip from Durham, NC, who’s review for the Hellboy in Hell #1 really spoke to us. 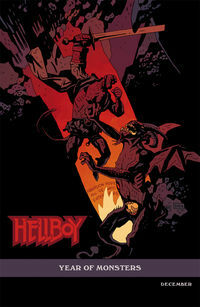 Mignola returns to the wheelhouse of the Hellboy title for another cryptic look around a crooked corner of his universe. I wish he could jam more story and mystery into the pages but am afraid it would only tarnish his beautiful Mignola-paced panels; and we just got them back! Today’s 28 Days of Comics-End of Event Blowout!